Jack Jackson has been handling lawsuits in Texas for over twenty years. 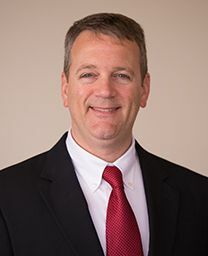 His diverse practice includes complex property damage, personal injury, wrongful death and business loss lawsuits including construction defects, construction safety, trucking accidents, products liability, premises liability, general negligence, architect liability, engineer liability, oil and gas litigation, indemnity and risk shifting analysis, and commercial litigation. Mr. Jackson was admitted to the State Bar of Texas in 1995. He has been admitted to practice before the United States District Courts for the Southern, Northern, Eastern and Western Districts of Texas as well as the United States Court of Appeals for the Fifth Circuit. Mr. Jackson graduated with a Bachelor of Business Administration from The University of Texas at Austin in 1991. He graduated from South Texas College of Law as a member of the Order of the Lytae in 1994.